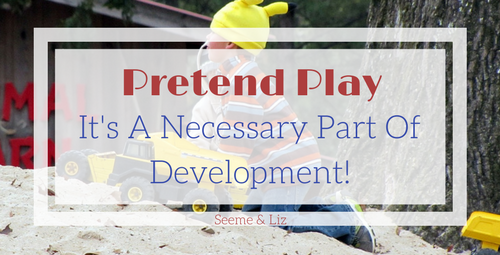 Seeme & Liz > Pretend Play: Why It’s Necessary For A Child’s Development! Play of all varieties is extremely important for toddlers and young children. Children exposed to a variety of pretend play activities, both structured and unstructured have greater language and cognitive skills then those who do not partake in pretend play. To clarify, when I talk about pretend play I am referring to creative and imaginative play, not just physical play such as hide and seek, tag, dodge ball, etc. although this form of play does have many benefits. What Is The Importance of Pretend Play? 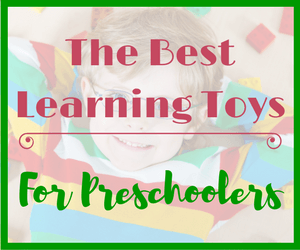 There is an extensive amount of research that validates the importance of pretend play. This article written by Dr. S.B. Kaufman, Dr. J. Singer and Dr. D Singer: The Need for Pretend Play in Child Development shows just how important pretend play is for children. These doctors make reference to many research studies that have been conducted over the last 20-30 years (so this is not something new). Some more research around the importance of pretend play came from Dr. Sara Smilansky (1922-2006) who was a professor at Tel Aviv University. 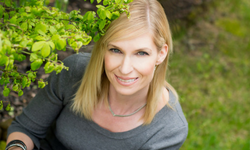 Her research focused primarily on the benefits of play for children. She wrote many books on the topic of children’s play and how it related to learning. She also studied the effects of divorce and death on children. Dr. Smilansky worked with Jean Piaget for much of her research on children and play. * This article may contain affiliate links. 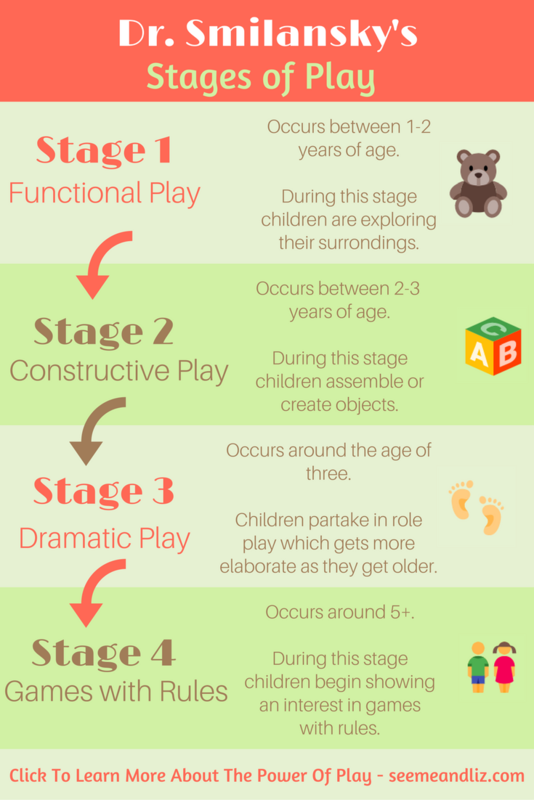 This type of play typically occurs between 1 and 2 years of age. Infants and toddlers explore objects using their own body (e.g. sucking, touching, etc. ), therefore, this form of play is also referred to as exploratory play. Between 18 months and 2 years of age children often begin demonstrating forms of relational play. A child in this stage may be seen using an object for it’s intended purpose. 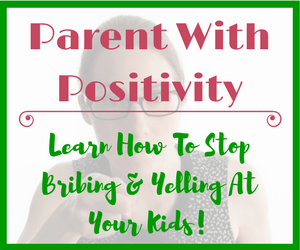 Some examples include: pushing cars around the floor, giving a teddy bear a drink, “feeding” a parent, etc. Encourage your child’s functional play skills by giving her safe objects to explore. Show your baby/toddler how you feed a doll or bear and see if he will imitate you. If this is easy for your child, then add a few steps. Wipe the dolls face and then give her a bath. You don’t need to actually fill the tub with water, we didn’t have a toy bathtub in our house so I would use a box. I played by placing the doll into the box and then pretended to pour water onto the doll. Then I would use a cloth to wash the doll. My kids were always so thrilled by this and would imitate these actions right away. Most plastic toys nowadays are BPA free and do not contain led paint, so try not to worry when your little one is “eating” a toy rather than playing with it. You can also find many wood options as well if you are trying to stay away from plastic. 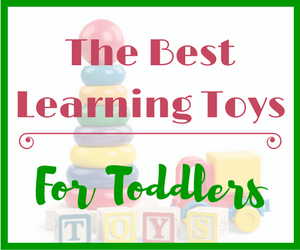 Some of my top recommended toy manufacturers (Discover Toys, Melissa & Doug, Learning Resources,) make high quality baby products and toys from some of the best materials. This stage typically occurs between 2 and 3 years of age. During this stage children begin to manipulate materials to create new objects and patterns. A child in this stage of play may use blocks to build a house or boat. Initially what the child produces may not be a true representation, but it does show the child’s attempts at working with materials to produce an effect. My children loved setting up blocks as roads for their cars to drive through! This stage typically occurs around the age of 3, although when my son was 2 he loved pretending various pieces of food were airplanes, so you may see this in children under the age of 3. This stage is also often referred to as symbolic play. During the dramatic play stage, children are imitating familiar scenarios via role play. Eventually this type of play leads to children co-operating around agreed upon themes. Children may also use an object to represent something other than its original purpose. For example, one may see a child using a building block as a phone or a popsicle stick as a spoon. Playing “house” is another example of dramatic play. This is a more advanced form of play as typically roles are assigned to each child involved (a mom, dad, brother, sister, baby, etc.) and the children then get into character. It is really interesting to watch children in this type of play. During this stage, which usually starts around the age of 5, children start being able to play games that have rules. These can be social/physical games such as “hide and seek” or “tag” or board games such as “Connect 4” or “Monopoly”. Children must learn the importance of following rules as our society is built on rules. These early physical games or some simple board games teach children about co-operation, fair play, honesty and rule following. 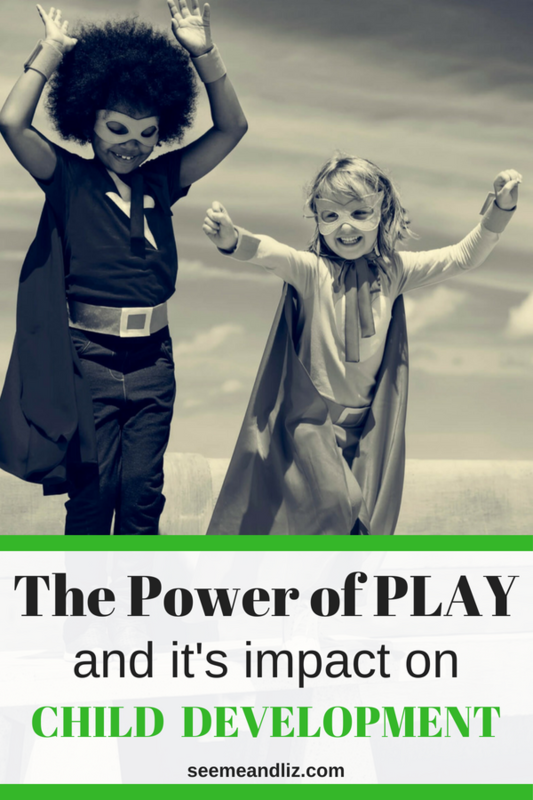 The Power Of Play Should Not Be Overlooked! Bagley and Klass, (1997) and Stone and Christie (1996) found that when books and other literacy-related materials were added to dramatic play, children used more varied language and showed an increase in reading and writing activities. If you feel that your child is not demonstrating age appropriate play skills, please contact a Speech-Language Pathologist for a consultation. Pretend play is also important for children with special needs. If your child has special needs, click here to learn how you can help them learn to pretend! You can take a look at the resource page if you are unsure how to find a Speech-Language Pathologist in your area. 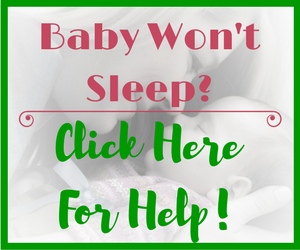 Keep in mind that children develop at their own pace, however you as a parent or teacher know your child the best and if you ever feel that something is wrong, do not hesitate to contact a professional. It has been so interesting to observe my nephew’s progress in learning and language development. He really likes helping his Grandma with her garden and is intense about how each plant is doing. He just started first grade and Grandma bought him a Lego set and helped him through the directions. He didn’t want to follow the directions at first, but once he got going on following the directions he was unstoppable. 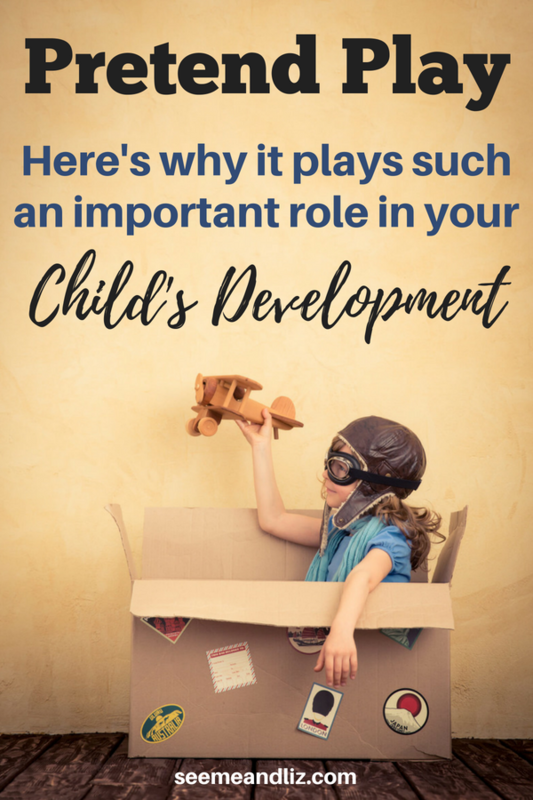 I like how you back-up your article content with plenty of professional sources and that you really know a lot of helpful information on child development through play. Sounds like your nephew is learning a lot just through play and hands on activities such as gardening! My kids love Lego as well. Excellent website! I am around children constantly and have observed the many benefits of children engaged in pretend play. I like how you broke down the age groups and development. It seems like kids really aren’t playing freely as much as they used to and this is sad. Hopefully parents will become more aware of the benefits of their children playing and realize that sitting in front of a screen for hours is actually not good for their development. Thanks Patti! I am happy to hear you like the site. You are right, free play has been declining over the last decade and now we are learning that this is detrimental to a child’s development. I am hoping to spread the word about the importance of both free play and pretend play to parents of young children all over the world! I mean, don’t get me wrong. Shes almost 4, but seems to have developed not faster but in a more mature way as opposed to a child who may not have access to the same ways to play. I can’t wait to see what she will learn, and I can’t wait to keep learning from you! Thanks Timm! It makes me so happy to get comments from parents who understand the value of play! By being given the opportunity to play, children will learn so many important foundation skills that will help them later on in life! Outstanding website Tanya! Very informative, rich, well placed, relevant content with easy navigation and an excellent use of your personal touch! This site is very engaging and creates an environment of compelling information that makes it hard to not sit here and read on! Great work Tanya! Thank you for your kind words Clyde! Thank you, Tanya! I would be happy to hear from you what developing toys are the best for a 3.5 y.o. girl. 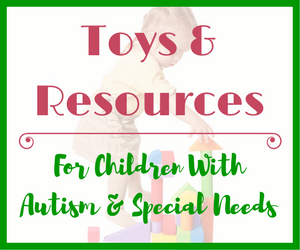 There are so many toys which are great for a 3 year old child. I actually just wrote an article about my number 1 recommended toy that encourages language and learning. The pretend play kitchen! Here is the link to the post The 5 Best Kids Play Kitchens: They will all encourage language and learning! Let me know what you think or whether or not your daughter already has one. Hi! You have very beautiful website and it is well designed. I am your audience because I am quite young and have a 3 year old daughter. I need some good advice on how to treat my beauty and make sure that her language skills are developing as they should be. Thanks a lot for the good material. Thank you for your kinds words. I am glad that you are finding this website helpful. Make sure to check out the section of the site if you are unsure of where your daughter’s language development should be.